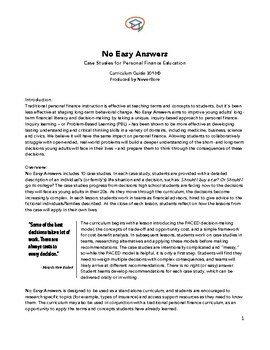 No Easy Answers aims to improve young adults’ long-term financial literacy and decision-making by taking a unique, inquiry-based approach to personal finance. This curriculum includes 10 case studies. 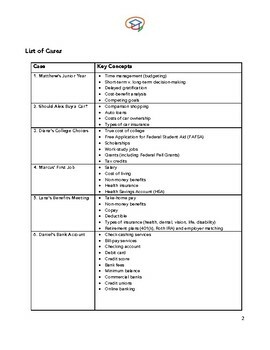 In each case study, students are provided with a detailed description of an individual’s (or couple’s) life situation and a decision, such as: Should I buy a car? Or Should I go to college? The case studies progress from decisions high school students are facing now to the decisions they will face as young adults in their 20s. As they move through the curriculum, the decisions become increasingly complex. In each lesson, students work in teams as financial advisers, hired to give advice to the fictional individuals/families described. At the close of each lesson, students reflect on how the lessons from the case will apply in their own lives. 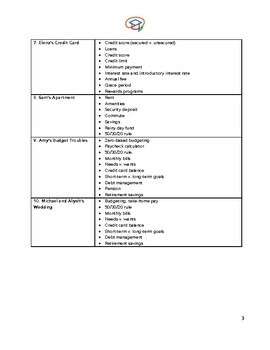 A preview of this curriculum, including only the first case study, is also available on Teachers Pay Teachers for $0.99. 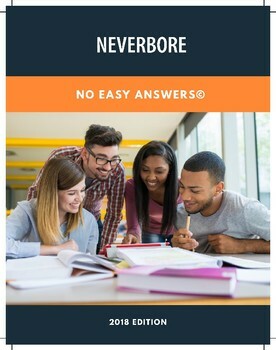 PowerPoint slides are available free at NeverBore.org.